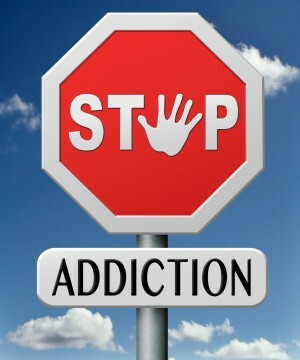 Chemical dependency and substance abuse are difficult issues that if left untreated can spiral out of control. At Appelman Law Firm, we deal with people who are battling chemical dependency issues on a daily basis. Our work is tied closely with so many in the chemical dependency community for a number of reasons. We have been practicing criminal law for more than 20 years, and we’ve seen firsthand how chemical dependency and substance abuse can be a slippery slope to committing a crime. Even if possession of the substance isn’t a crime in and of itself, substance abusers are more likely to get behind the wheel while under the influence or use illegal means in order to finance their habit. When these actions lead to an arrest or trial date, many people are left feeling like they don’t have anywhere to turn to, but that couldn’t be further from the truth. At Appelman Law Firm, we’re here to help when you need us most. But our work doesn’t just stop there. We also have relationships with care counselors who will ensure you get the support you need during sessions, be it through support groups or sponsors to see you through the entire recovery process. Family support during this time is also helpful, but as we mentioned above, substance abuse can really strain relationships, which is why we work closely with care counselors to ensure they are the ones holding the client accountable. This way family members can be there for support and don’t have to worry about policing actions like missed meetings. Our process allows family members to just be family. Our work with counselors and substance abuse programs has three main goals; To help a person understand that there is something wrong (as we’ve seen our fair share of high functioning abusers who generally do a great job masking their troubles), to give them realistic goals and a plan of action to help them get better each and every day, and to ensure that they have the tools to make smart decisions and avoid a relapse after they complete the program. People in all walks of life come to us during their darkest moments because of an issue with chemical dependency or substance abuse. They are at a low moment in their life and don’t know where to turn. They feel like they are alone and at the mercy of the justice system, while their family and friends are left asking questions like “Should I post bond,” “How bad are the charges,” and “What will happen next?” We can provide answers and support because we’ve been through the process hundreds of times before, and we know how to help people when they are feeling most vulnerable and alone. We offer a plan of action with real solutions that helps get the client on the road to chemical dependency recovery and gives their friends and family time to collectively collect their breath while the plan is put in place. For more information chemical dependency and how we can help get you or a loved one our of the spiral of abuse, check out the resources below.